Listen closely to the Backstreet Boys' new album, and you'll hear a continuous tick-tock, tick-tock. No, it's not a percussive device: it's the biological clock of a boy band that knows its days as teen 'zine fodder are numbered. It's fitting that the Boys called this CD Black & Blue (***out of four), because it was plainly born of growing pains and bruised feelings. Eager to defy their critics and mature as artists, the guys are exerting more creative control. 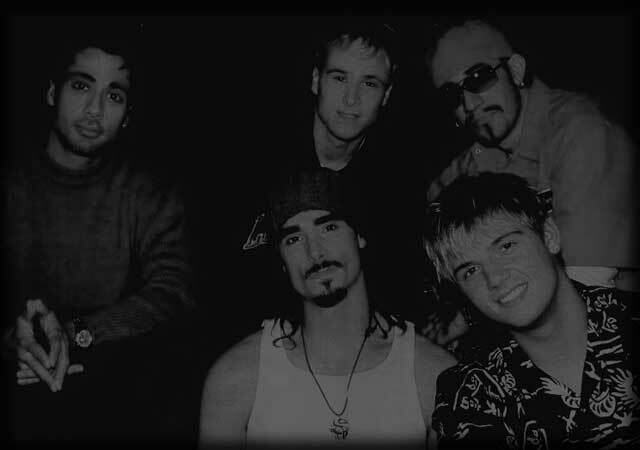 five of the album's songs were co-written by Backstreet members, including two penned entirely by the five singers. The results may not blow your mind, but they're bound to surprise and seduce at least some detractors. The brisk, shimmering The Answer to Our Life, one song that the Boys wrote on their own, is among the album's best tracks: Time, another Backstreet-composed effort, has the sweetly soulful vibe of a lost Boyz II Men single. Other ballads and midtempo numbers, among them the tender Yes I Will and More Than That, also show an eagerness to embrace a more mature--if not always exciting--approach, gracefully incorporating adult-contemporary and R&B textures. But tune-smiths such as longtime Backstreet colleague Max Martin, who co-wrote the wistful single Shape of My Heart, and Rodney Jerkins, who produced the lithely funky Shining Star, ensure that the album has enough pure pop sheen to appeal to the Boys' core audience. Granted, few of these tracks are instantly infectious as last album Millennium's leadoff single, I Want It That Way. Still, Black & Blue marks a clear and generally admirable turning point in Backstreet's evolution from boys to men.